Do you realise how important your domain name is to the success of your website and online business? There are many things you should consider when choosing a domain name. 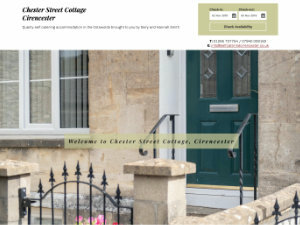 On this page, Cirencester Web Design discusses what you should be thinking about when choosing your domain name. Should I choose a .co.uk or a .com? We can help you decide whether a .co.uk or a .com is best for your business and website. It may be that getting both (if they are available) is best. But what if neither the .co.uk or .com version of your ideal domain is available? There are lots of other domain extensions to choose from, so we can look at registering a .net, .org, .co or other domain extension instead. Are There Any Restrictions On Domain Names? In general, domains must be two characters or more, and they can only be made up of the letters a to z, the numbers 0 to 9 and the "-" character.